"THE SCREEN'S GREATEST EXCITEMENT OF THE YEAR!" 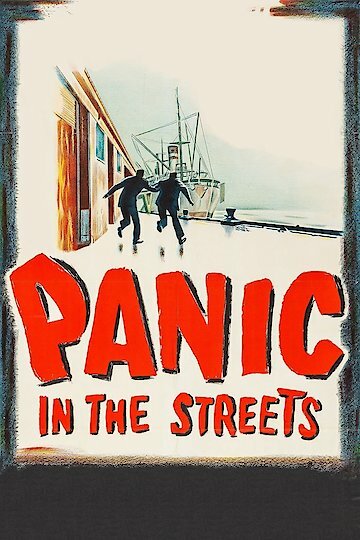 Panic in the Streets is 1950 film noir. The story is set in New Orleans, and the film was shot entirely on locations. This helps to give it a very convincing and authentic feel. The plot concerns a pneumonic plague outbreak that threatens to spin quickly out of control. Widmark plays a U.S. Public Health official. He kills another local gangster named Kochak who is visibly sick. The coroner grows concerned when he diagnoses a bacteria in the gangster’s corpse. This sets the stage for a race against the clock to track down the source of the illness before it spins out of control. Panic in the Streets is currently available to watch and stream, buy on demand at Amazon, Vudu, Google Play, FandangoNow, iTunes, YouTube VOD online.